When thinking about art in Walt Disney World, aside from the gorgeous architecture and design found throughout the resort itself, common thoughts lean towards figurines, lithographs, and other collectibles. Tucked away in various corners are art forms that also take considerable craftsmanship that are often overlooked. 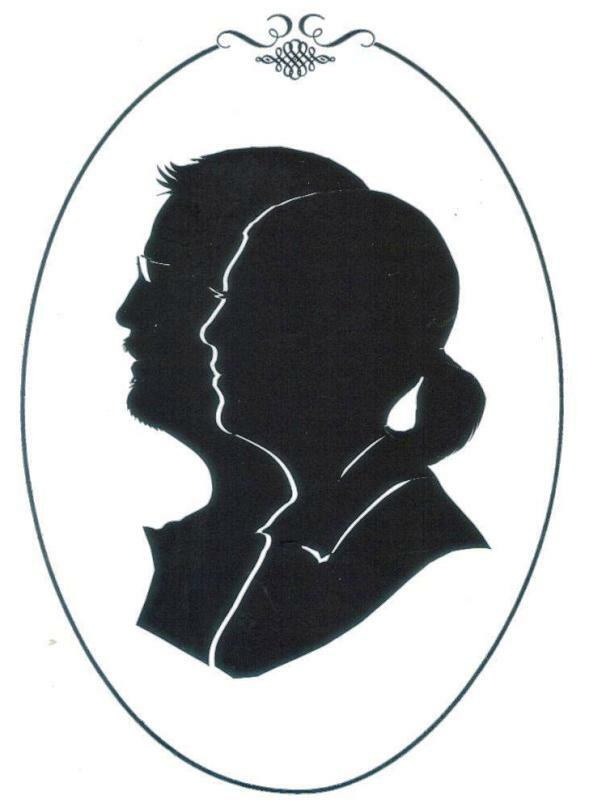 Today we’ll look at one such form that requires a significant amount of skill, paper silhouettes. The construction of each silhouette demands considerable hand-eye coordination and an eye for individual details. The process requires the guest to sit still, in profile, for several minutes while the artisan carefully trims an outline of the guest’s face from a folded over piece of dark paper. From a single completed silhouette a second outline, and subsequent profiles beyond, can be crafted into a single image. By folding a single sheet of paper over two silhouettes are created, allowing for the selection of the best looking profile. A completed print of a couple or pair of children takes no longer than fifteen minutes, but creates a tangible memory that will last a lifetime, and the option of having it framed on site ensures it returns home in pristine condition. The artists who compose these wonderful keepsakes do not beckon guests to come and view their wares, nor do they boast about the substantial amount of precision work that they possess. From their quiet, tucked-away corners of Walt Disney World, the silhouette craftspeople create affordable artwork that deserves a place alongside the finest figurines to be found in The Art of Disney. Although, the quiet nature of the art is essential to its charm. Great post! I remember getting my silhouette made when I was very young (the matte even has the old WDW logo on it as a nod to nostalgia). In today's high-tech world, it seems like so many skip over this great little souvenir. We had silhouettes made of our two boys several years back and they hang proudly in our upstairs hallway right by the entrances to their bedrooms! A very worthwhile investment of a few minutes. Jessica, I know my parents had my sister and I sit for silhouettes when we were kids, but those pieces have long since disappeared. You're right though, people really do pass the silhouettes by, which is a shame. Scott, what a great idea for designate each room!